Summer is upon us, and our July report features reviews of four cold-brew coffeemakers. These are devices that brew coffee using cold water and extended coffee-water contact times rather than hot water and short contact times, as is the case with conventional coffee-brewing devices. The cold or iced coffee we enjoy in cafés and stores is not necessarily cold brewed. It is often brewed using conventional hot-extraction methods and chilled immediately after brewing. When sold in cafés decanted over ice, it is often brewed extra-strong to compensate for dilution by the ice. However, the current popularity of various cold or iced coffee drinks has bolstered the popularity of genuine cold-brewed coffee, coffee that has been brewed slowly through hours-long contact with cold water. Cold-water brewing generally produces a smooth-bodied cup with low acidity and delicate aromatics. Those who prefer hot-brewed coffees complain that cold-water extraction does not pull enough from the coffee; those who enjoy cold brew argue that hot brewing extracts too much. Cold-brew lovers prefer that some of a coffee’s acidity and intensity is left behind, and find that cold brewing gives them a more delicate, understated, and above all, low-acid beverage. The low acidity associated with cold brew has made it a particular favorite of those coffee drinkers who find that the organic acids in coffee cause them digestive distress. Manufacturers and vendors of cold-brew devices have made “low acidity” a key element in their marketing. The manufacturer Toddy, for example, prominently boasts of a cup containing 67% less acid than a typical hot brew, although no study that we could find apart from a single piece of lab work commissioned by Toddy itself) is cited. 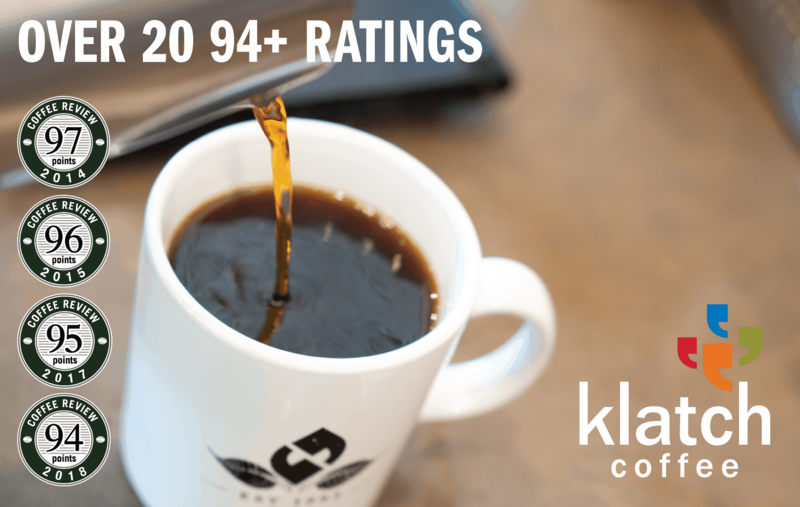 Our own relatively acid-tolerant constitutions and limited labs were not ideally suited to test this claim either, but we trust by way of our palates and the existing science on cold brew that the method does indeed produce a lower-acid cup than hot brew methods. It tastes that way, at any rate. Those who enjoy the complexity and distinction of high-grown, medium-roasted coffees, yet continue to struggle with their bright acidity, may want to experiment with cold brewing. There are two styles of cold brewers: immersion brewers (coffee is simply soaked in cold water for an extended time, usually around 12 to 24 hours, before filtering) and slow-drip, Kyoto- or Dutch-style brewers that dribble iced water very (very) slowly through a bed of ground coffee. Immersion brewers are typically used to brew a coffee concentrate that is served diluted with two to three parts water or milk, whereas slow-drip brewers produce a beverage meant to be enjoyed straight from the brewer, without dilution or diluted only with ice. While immersion brewers are certainly more common in the market, new slow-drip devices have appeared in recent years, demonstrating their increasing popularity as an alternative to immersion. Within each of these categories we tested two products: one a standard, traditional version of the basic style and one a newer, more updated version. On the immersion side, we tested the classic Toddy Cold Brew System together with the new KitchenAid Cold Brew Coffee Maker, just released this year. In the slow-drip category, we reviewed the thoroughly updated Cold Bruer , a four-year-old product launched via Kickstarter that makes clever use of silicone in a variety of applications, and the Nispira Ice Drip Coffee Maker, a device that mimics, on a smaller scale, the form and function of the tall, almost otherworldly-looking traditional slow-drip towers common for decades in Japan and sometimes seen in quality-focused cafés in North America. As we engaged with each device, we found confirmation for our view that low-temperature, slow-extraction coffee brewing is, in general, a very forgiving method, regardless of the specific mechanics of the process. True, the characteristic cup produced by the slow-drip method will be inherently lighter-bodied and more nuanced than the typical cup generated by the immersion method, doubtless owing to the subtle, constant movement of fluid through the coffee in slow-drip as opposed to the long, standing steep inherent to immersion brewing. And again, the water-to-coffee ratio in slow-drip methods is designed to produce a ready-to-drink cup, whereas immersion methods aim to produce a heavy concentrate intended to be drunk diluted by as much as two-to-three parts water or milk. The immersion-brew concentrate is typically a rich, almost syrupy brew that nets a final cup particularly emphasizing sweetness and smoothness over flavor articulation and brightness. Yet, one way or the other, what quickly became evident is that when you take brevity and heat out of the equation, cold brewing is not a particularly technically demanding procedure. None of these devices is expected to maintain a consistent temperature, for example. None involve electronics. Given this simplicity, the key areas we focused on in our evaluations included convenience, quality of build and materials, and filter performance in regard to the clarity and drinkability of the finished beverage. We also stressed aesthetics, a particularly important consideration given how long these slow-brewing devices need to remain in action and in view to perform their task. As each brewer is designed to shine at a different brewing volume and incorporates its own method of filtration, we did our best to approach each product on its own terms and follow each manufacturer’s instructions and recommendations for brewing ratios and procedures, rather than attempting to establish our own baseline recipe and force each device to conform to it. That said, manufacturer recommendations for brewing ratios and procedures were for the most part in keeping with generally accepted best practices for each method, and we found that, while each device has its quirks and might appeal to different kinds of user, all performed well at the essential task of generating satisfactory cold-brew coffee. True, the slow-dripping Nispira took a bit of dialing in, as it did not come with instructions, and given the amount of time and coffee involved per experimental batch, it was frustrating to miss the mark at first. But once we got our bearings, the Nispira proved to be as easy to use as any of the other devices we tested. In regard to effective filtration, the cup with the least clarity was produced by the KitchenAid, although we expected much worse from its perforated steel steeper basket. Perforated metal filters often tend to let pass a disappointing quantity of fine, silt-producing particles. But the KitchenAid filter performed better than average for this filter style, and the final cup benefited from an added measure of clarification provided by an innovative design that encourages settling and separation of sediment at the bottom of its hearty glass brew jar. The KitchenAid was also by far the sturdiest of the four tested units in terms of material construction, although there’s not much that can go wrong with the Toddy Cold Brew System either—a lightweight plastic bucket one could probably bounce down a flight of stairs and dust off for the next brew session. The only tested device we questioned in regard to long-term durability is the Nispira. Its thin-walled glass components seem destined to fracture eventually. For ingenuity, we tip our hat to both the Bruer and the KitchenAid, each of which contributes clever twists in functionality to their respective formats. The Toddy deserves continued respect for having popularized cold brewing with a design that, after fifty years, continues to produce cold-brewed concentrate coffee as good as any. And the Nispira takes a good shot at bringing the picturesque drama of the big slow-drip café towers into the intimacy of a coffee-lover’s kitchen. KitchenAid Cold Brew Coffee Maker. Photo by Howard Bryman. The KitchenAid Cold Brew Coffee Maker is an immersion-style cold brewer that produces a coffee concentrate using a perforated pullout metal filter inside a squat, cube-shaped brew jar with a spigot for dispensing the finished concentrate. With each coffee-related release by the long-established KitchenAid company, we are reminded that the goals to which the brand apparently aspires are, above all, sturdiness and convenience. KitchenAid products, on average, usually cost a few bucks more than competing products, though one usually can safely assume that the added expense will be an investment in product longevity. The Filtration Issue. At first glance, the KitchenAid Cold Brew Coffee Maker appears to be just another steep-and-strain system, similar to any number of other brewers in which a filter basket of some kind holds coffee during extraction and is then pulled out, leaving a typically murky concentrate brew behind. These devices range in quality, and their filters can be either metal or nylon mesh, though none are known for doing a particularly excellent job of yielding a clean, distinctly articulated cup. As with a conventional French press, fines remain in the beverage, adding a heaviness to the body and a cloudiness both in appearance and flavor profile. Nevertheless, the very finely perforated metal screen of the KitchenAid Cold Brew Coffee Maker does an excellent job of keeping most particles at bay, plus a subtle surprise in the design of the brew jar provides additional brew clarification. After the metal filter basket is withdrawn, the finished coffee concentrate is served by draining it down and out through a spout at the bottom of the brew jar. Since this sturdy brewer stays put on a refrigerator shelf or countertop, the fluid’s exit through the bottom provides one more opportunity for filtration, a subtle but important feature that manages to go unmentioned in KitchenAid product descriptions. The floor of the glass brew jar is textured with an array of little protrusions, resembling a nutmeg grater without holes. As the finished brew rests in the jar, fines settle to the bottom and accumulate between these protrusions, which presumably attract still more fines from the fluid that flows over them during decanting. The drain itself has a lip just barely taller than these bumps, further preventing the heaviest, murkiest brew from exiting. The result is a much cleaner cup than one would expect from a metal-filtered immersion brewer. The efficiency of this strategy becomes even more evident when one rinses the coating of sludge off the bottom of the brew jar after use. (It looks like the bottom of a cup of hot chocolate made from a packet of powdered cocoa mix). It is reassuring that none of that sludge winds up in the cup, although it does remain in contact with the brewed concentrate for however long it takes to finish consuming the coffee in the brew jar. This can’t help but have a potentially muddying effect on flavor, even if the same could be said for any basket-type immersion cold brewer. This one at least goes the extra mile in cleaning up the brew at the point of dispensation, and its metal steeper is also a cut above average. As for the small amount of residue that is likely to get trapped on its way down the spout, no problem. The entire drain and spout assembly comes apart for soaking and cleaning. Praise and an Imposing Footprint. Even when presented with the competing option of using a slow-drip cold brew coffee maker like the Bruer that yields a lighter and, in some ways, preferable cup of coffee, we found ourselves returning to the KitchenAid device for its simplicity and convenience. The only drawbacks in using it are that it dispenses concentrate rather slowly (which is forgivable considering the clarification facilitated by that slow rate of dispensation), and the arguably awkward footprint it imposes in the refrigerator. The KitchenAid Cold Brew Coffee Maker’s sturdy, well-designed components. Photo by Howard Bryman. It is a rather heavy object, and its rubber feet are grippy enough to make it a nuisance to slide forward to the edge of the shelf for every dispensation. To do so also would disturb the fines that are best left settled and ensnared by the protrusions at the bottom of the jar. So the brewer must live at the very edge of a shelf, potentially blocking one’s access to whatever is behind it. This imposing presence may be a minor drawback for some of us, but one worth noting for folks with crowded or smaller refrigerators. At the same time, an argument could be made that its squat stature also allows it to fit on shelves with less clearance, which may be advantageous in small refrigerators like those found in offices or dorm rooms. And of course one could use this strong, handy and attractive dispenser for any number of other beverages as well, such as iced tea or lemonade. Although this brewer doesn’t come cheap, it earns a good rating for its impeccable build quality, better-than-average filtration and ease of use. Cold Bruer Coffee Maker. Photo by Howard Bryman. The Cold Bruer began as a humble Kickstarter project back in 2013, striving to crowdfund a modest $30,000 to support the manufacture of what was, at that point, even more of a niche product than it is today: a slow, antiquated method of brewing coffee with cold water, updated with modern materials and design. The campaign attracted over 640% of its goal, and the Bruer dripped triumphantly into the thirsty cold-brew marketplace. Four years later, the product remains in high regard, often topping online lists of smart choices for a modern slow-drip experience. It’s also still the only product made by Bruer aside from some matching mugs sold on the company’s website. The website also sells replacement parts for the brewer. For a device so dependent on glass components, it’s comforting to know that spare parts are easy to come by, although the Cold Bruer’s respectably thick borosilicate glass and indestructible silicone construction is a comfort to begin with. Bruer Cleverness. As with all slow-drip devices, a valve that requires careful adjustment allows cold iced water to drip very slowly into a brew chamber holding the ground coffee. The finished beverage exits with similar slow deliberation through what is, in this case, a dual-layered metal mesh filter. It collects in a carafe in which the finished coffee is refrigerated. Unlike cold-brew immersion devices, cold drippers like this one typically produce a finished beverage, not a concentrate. Cleverness is apparent at every point in the Cold Bruer system. Its lid is actually a lid within a lid; a smaller lid within the larger ice-water reservoir cover separates for insertion into the mouth of the finished brew carafe, providing an effective seal for multi-week storage in the refrigerator. The brewing chamber is sealed to prevent air from reaching the brewing coffee and potentially oxidizing or dulling it. The valve houses a CO2 vent tube through which the gas escaping from freshly roasted coffee can exit the sealed chamber, preventing the formation of a vacuum that would stop the chamber from draining. In most other slow-drip systems the brewing chamber is open to the air, risking character-flattening oxidation. Another silicone band hugs the shoulder where the combined reservoir and grinds chamber nests onto the carafe, providing a bit of a seal and preventing slippage of the stacked components. The silicone ring that holds the steel filter on performs well, as does the silicone plug between the reservoir and grinds chamber with the valve embedded in its center. Its dual-layered steel mesh filter works well. It’s also a significant plus that the paper filter placed at the top of the bed of ground coffee to better distribute water over the grounds is an easily sourced AeroPress-type filter. The Cold Bruer, disassembled. Photo by Howard Bryman. The instructions included in the attractive cylindrical packaging are thorough and clear, and when supplemented by the FAQ page on the company’s website, one can learn plenty about the basics as well as finer points in using this device and others like it. For example, we learned that mixing ice with the water in the reservoir isn’t only for the sake of brewing with colder water or making a drink that’s refreshing as soon as it’s ready. Keeping the brewing system consistently cold prevents the air bubbles that may form as water descends to room temperature—bubbles that could potentially block the tiny valve opening that allows single droplets to pass. Challenges in Monitoring the Drip Rate. Unobtrusive demarcations on both the grinds chamber and the reservoir make using the Cold Bruer intuitive, although monitoring the drip rate can be challenging owing to a very close clearance between ground coffee and drip source. While we appreciate such compactness from an efficiency standpoint, it’s important to be able to see the drip clearly, because in the Bruer (as in all slow-drip systems), the drip-rate will naturally decrease as does the water level in the reservoir, necessitating an occasional adjustment to the valve. When it comes time for that adjustment, the silicone construction of the valve does leave a bit to be desired in terms of responsiveness. And viewed through the sweating glass, the demarcations on the rod at the point it fits into the valve are hard to see, so adjustments are generally made by feel and by watching the drip—which also can be hard to see. Ice-cold water tends to make the grinds chamber fog up and develop beads of water along its walls, obscuring the view, while a dose of freshly roasted coffee even slightly over the recommended maximum of 60 grams may bloom up high enough to come in contact with the little droplet ramp that descends from the valve. Final Praise. Despite issues with valve adjustment, the cup that results from the Bruer is full-bodied, sweet and mellow, although a bit lighter and perhaps more distinctly fragrant than produced by an immersion method cold brew. Removing the steel filter from the bottom of the brewer, shoving the grinds out into a compost bin and rinsing all components by hand is simple. It’s nice to know that every part of it is also dishwasher safe, although we didn’t find that to be necessary, as the opening of the carafe is wide enough to fit one’s hand in for a good scrub and the brawny glass alleviates any fear of handling it in the sink basin and stacking it among other items on a drying rack. The brewing principle is exactly the same as the tall, fragile and ornate Kyoto-style slow-drippers that cost cafés hundreds if not thousands of dollars, yet the Cold Bruer’s compact form, durable materials and intuitive procedure impress with kitchen-counter practicality and certainly justify its moderate price. Anyone interested in slow-drip cold brewing at home would be well served to consider a Cold Bruer. Toddy Cold Brew System. Photo by Howard Bryman. When it comes to cold-brewed coffee in the modern era, the Toddy Cold Brew System is the device that arguably started it all. In 2014, the company celebrated its marque product’s 50th birthday, just at the point the current cold-brew craze took off. It’s likely that, given Japan’s longer tradition of cold brewing, there have been Kyoto-style slow-drip cold-brew devices in production longer, and the Filtron immersion cold brewer pre-dates the Toddy brewer by 17 years. Nevertheless, the Toddy, more than any other device, appears to have popularized cold-water brewing in North America. Toddy has expanded to offer some commercial and wholesale solutions, along with a house-branded variety of coffees, teas, and accessories, although from the consumer perspective it continues to hang its hat primarily on this one, unchanging product. This longstanding single-mindedness is reflected in the consummate straightforwardness of the design: The brewer consists of a food-safe plastic bucket with a hole at the bottom and a stopper, plus a filter wedged above the hole to block the grounds when the stopper is removed and the brewed coffee exits into the included carafe. That’s about it, and though the ensemble is not much to look at, it does its job well. Toddy Limitations. Nevertheless, there are opportunities for improvement. The plain, albeit utilitarian white plastic, for example, is thoroughly void of the slightest pretense to elegance. And when the time comes to remove the stopper and drain the brew container, a sudden spurt of rich, dark cold brew may be released, constituting one of only a few areas where the Toddy user-experience could be improved. A valve or sliding door of some kind would make for a cleaner procedure, although the stopper is simple, cost-effective, and with practice one can release the brew into the carafe without getting more than a drop or two on one’s fingertips. The system also includes a rather flimsy ring with a handle that slides up to fit around the top of the brewing container. Unfortunately, when the container is filled with water and coffee, the handle ring flexes and the whole assembly is precarious and difficult to manage with one hand. Improved rigidity in this awkward add-on would be a welcome revision. Filter Issues. The proprietary Toddy filter is a felt puck of woven food-safe polyester material that nestles into its designated indentation at the bottom of the container. These filters perform admirably and are reusable up to a point: Toddy recommends a new filter per ten uses or three months, whichever comes first. The brewer comes with two; a replacement two-pack costs $4.50. Or you can bring the price down by buying packs of six or 12 online. If the coffee is ground too finely or if the brewing coffee is overly agitated, these filters are prone to clogging, in which case the company’s online FAQ recommends gently scraping the surface of the filter with the blunt, rounded tip of a dinner knife. Out of a half-dozen test batches with our Toddy brewer, we only experienced one that slowed down while draining to the point that a filter-scrape seemed necessary. In general, with a coarse grind of coffee roasted in the medium or lighter range, we didn’t have any issues with the filter. Cleaning it is also surprisingly easy; just a simple rinse with warm water seems to free up enough sediment and residue to render the filter clear, almost totally aroma-free and ready to reuse. Recently, Toddy added disposable paper filters to its consumer product line, 20-packs of which are currently available for separate purchase. These function as a sort of liner inside the brewing container to be used in conjunction with (not as a replacement for) the felt filter, and would certainly seem to solve any potential clogging issue. And, while avid gardeners might appreciate a bucket of freshly spent, filter-free grounds to sprinkle around their azaleas or tomatoes, the paper filter does streamline the clean-up procedure to a convenience-level on a par with automatic drip machines and manual pourovers that use paper filters. Usage instructions for the paper filter also include a stirring step—stirring is not recommended when using the felt filter alone, as it causes clogging—as well as a step involving gathering the top edges of the paper filter together and twisting it closed like a bag prior to the brewing phase. Lidless at the Top. Which suggests another limitation of the current Toddy design: there is no lid to cover the brew bucket. Especially for a brewer of its size, the wide opening at the top of the brewing container seems, at best, an opportunity for flavor-flattening oxidation of the brewing coffee; at worst, an invitation for dust or a passing fly to settle in. On its website, Toddy states that while covering the brewer is not necessary, “you can cover the brewing container with plastic wrap, aluminum foil or a plate, if desired.” A tighter-fitting lid would probably be needed to prevent any potential oxidation or staling of the coffee during the extended brew time, so it was more in deference to our mild germophobia that we found peace of mind by placing a silicone bowl cover over ours. As potential oxidation during brewing is an issue inherent in the long-steep immersion method generally and is not isolated to this particular product, we don’t consider it to be a fault of the Toddy specifically. And again, keep in mind that oxidation or staling proceeds much more slowly at cooler rather than hot temperatures. Good Marks for the Carafe. We have no such complaint about the included glass carafe, however. The glass is clear and sturdy, and its white plastic lid emits a satisfying whisper of air being displaced as it plugs snugly in. The wide mouth of the carafe allows a whole hand to fit inside for easy washing, and its ribbed neck and flared top make for confident holding and pouring. It also serves as a handy measuring cup in preparing the brew. Instructions call for 12 ounces of coffee and a total of seven cups of water, the latter of which fills the carafe to exactly the top of the lowest rib of the neck. Well—exactly enough, that is. Cold brewing, especially immersion-style cold brewing, is not necessarily a high-precision game, which is a welcome change of pace from the kind of stringent exactitude demanded by other methods. This is particularly true of a higher-volume cold brewer like the Toddy, which eats up a whole 12-ounce bag of beans per batch. The Toddy Cold Brew System is the simplest cold-brew product on the market for home use. Photo by Howard Bryman. Large Volume Pros and Cons. Certainly it’s quite convenient to grab a standard 12-ounce bag of freshly roasted beans from a grocery shelf or café counter, grind it all, then, using the carafe, eyeball the recommended seven cups of water. And given the lengthy time it takes to make cold brew at any volume, it’s also nice to have more concentrate to show for the effort. The concentrate is said to remain fresh in the refrigerator for two to three weeks, presenting no problem for multi-drinker households. On the other hand, for individuals who turn to cold brew on hot afternoons while maintaining their default drip, pourover or espresso in the morning, brewing such a large volume is a bit of a commitment. But it is possible to brew smaller volumes, and the brewing bucket does balance nicely on wide-mouth canning jars with a smaller volume than the Toddy carafe. Ultimately, the cold brew concentrate made via the Toddy system is every bit as good as the stuff found in most cafés. After all, Toddy also uses the same simple technology in its widely used commercial-scale cold brewing equipment. The Toddy Cold Brew System overall remains as effective and utilitarian a home cold-brewing tool as one can find. It may not win beauty contests, and certain steps in the process may be a bit clumsy, but none of the Toddy Cold Brew System’s drawbacks are problematic in terms of fundamental performance. For café-quality cold brew, and lots of it, the Toddy Cold Brew System is a dependable, cost-effective resource. The Nispira Ice Drip Coffee Maker. Photo by Howard Bryman. The first images likely to come to mind for anyone familiar with the slow-drip method of cold brewing coffee are the tall, complex glass towers sometimes seen in trendy modern coffee shops. These impressive and seemingly impractical devices are both visually striking and hard on the budget, as they range in price from hundreds up to thousands of dollars depending on size, materials and intricacy. For professional cafés seeking not only to serve larger volumes of smooth, aromatic cold brew, but also to start conversations with patrons about different coffees and brewing methods, all while nuancing their décor, these devices may be a worthwhile investment. Yet for cold brewing at home on a more constrained budget, the Nispira Ice Drip Coffee Maker is a reasonable approximation of both the function and romance of these exotic apparatus. As with all slow-drip devices, a valve that requires careful adjustment allows iced water to drip very slowly into a brew chamber holding the ground coffee. The finished beverage exits with similar slow deliberation through a paper filter into a carafe. Unlike cold-brew immersion devices, cold drippers like this one produce a finished beverage, not a concentrate. Size and Fragility. The elegant, vertically arranged glass components of the Nispira dripper are reminiscent of its towering café counterparts, both visually and in terms of functionality, while its gleaming steel support structure (as opposed to the more traditional wood or brass) suggests laboratory research equipment. Its height, at about 17.5 inches from its base up to the tip of its round glass-knobbed lid, is a tight squeeze in an average modern home kitchen with a typical 18-inch clearance between countertops and cabinets. It could be operated without the lid, bringing its height down to about 16 inches, although older homes may have even less clearance between counters and cabinets—15 inches is not uncommon. So it’s best to take a measurement before purchasing a Nispira dripper. Nispira’s many attractive but fragile components. Photo by Howard Bryman. The Nispira also requires a safe and secluded place to stand, as the drawback of its inconvenient height is further exacerbated by its apparent fragility. The glass of its upper reservoir and the cup that holds the ground coffee is quite thin. A safe and protected spot for it to stand fully assembled is also important because, when not in use, the Nispira Ice Dripper isn’t easy to stow either. The steel of its base and support structure is thin enough that packing it away while still assembled could cause the steel parts to bend and subsequently wobble, while the glass components also probably shouldn’t be kept anywhere where they might be bumped or nudged. The safest storage solution would be to fully disassemble the device and return it to the individual cardboard boxes in which each piece comes individually packed—which may be fine on a seasonal basis, but is certainly not practical between individual uses. The carafe for collecting finished brew is, thankfully, constructed of a thicker glass, apparently in acknowledgment that it will be more frequently handled to store and pour the finished beverage. However, though it does have lines indicating volumes from 200ml up to 600ml, it does not come with a lid for air-tight storage of finished coffee in the refrigerator (the lid for the upper water reservoir doesn’t fit the carafe). So it’s not clear whether Nispira intends the bottom carafe to be used to store coffee after it’s been brewed, or if the company expects the coffee to be immediately served or transferred to another container. Unanswered Questions. Unfortunately, this is just one among a number of questions left unanswered by the packaging and the website associated with this product, as there is neither an instruction booklet inside the package nor any information posted by the company online. There are no recommendations for grind size or water-to-coffee ratio, and no instructions on operating the valve, cleaning the device, or even assembling the unit in the first place. It’s easy enough to figure out the assembly by looking at the photos on the box and by using one’s intuition, despite the fact that in one of the three available photos of the support structure on the box, the vertical steel rods appear to have been assembled upside down. Twisting the knob to open or close the valve and carefully hand-washing the glass with warm water and soap may seem intuitive enough, although a little hand-holding from the manufacturer of such a delicate item would be welcome. A resource for replacing broken parts also would be useful. The Nispira website does not, apparently, sell replacement parts, though there are third-party sellers that do. Moreover, a resource for replenishing the uniquely sized paper filters is an inevitable need, should the device remain intact for long enough to exhaust the stack of roughly 100 included with the brewer. Nispira Ice Drip Coffee Maker filters are simple, white filter-paper discs roughly 2.25 inches in diameter. This is smaller than the commonly available AeroPress filters and larger than Yama slow-drip tower filters. While the Nispira website sells replacement charcoal filters for a variety of consumer drip coffeemakers and an array of other water and air purification filters, it’s a confounding oversight that the company does not also sell additional supplies of its own proprietary paper filters. True, absolute precision in the size of the filter at the bottom of the grounds-holding cup isn’t necessary; a user could cut any paper filter down to a size that lays flat and covers all four drainage holes. One shouldn’t have to, though. Further Mysteries. One exterior panel of the box offers info on “how to cold brew a smooth coffee,” with photos of a nearly full water vessel and a full ground-coffee cup. The instructions tell the user to put one of its included paper filters down first to cover the holes at the bottom of the cup holding the ground coffee, then add coffee, and then to “gently press the powder” to make the surface even and flat. We preferred to carefully shake the cup and tap the side by hand rather than insert any implement that could potentially damage the glass. The box then suggests that users set the valve for “2-3 second for 1-2 drops,” which should reportedly yield ready-to-serve cold brew in “30-40 minutes.” In our experience, at that drip rate, with the ground coffee holder filled to the top (about 55 grams) with freshly roasted, coarsely ground coffee, passing a volume of water comparable to the volume suggested by the photo on the box took several hours to complete. While a bit more guidance in getting started with a new device is certainly preferred, it is true that most new brewers take a bit of trial and error when it comes to dialing in a ratio and procedure that yields a cup that suits the fancy of the drinker. Procedure may vary from bean to bean; some users may prefer ready-to-drink brew while others may go for a concentrate; some may tweak variables simply to make the whole process faster. All users, however, will certainly prefer a product that works well right out of the box. But Praise for the Drip-Rate Valve. Without a specific recommendation for the brewing ratio, grind coarseness, or even a reminder to check on the drip that inevitably slows as the weight of water at the top decreases, newcomers to slow-drip cold brewing will be rolling the dice in their first attempt with this Ice Dripper. When it did come time for periodic drip-rate adjustments, we found that the strongest component in the system is the tight, sturdy steel valve that controls the drip. Its adjustment knob is easy to grip, and the valve is just resistant enough to prevent over-adjustment. Adjustments can be made quickly and precisely. Nispira’s drip-rate valve, the product’s most sturdy component. Photo by Howard Bryman. While some slow-drip devices recommend placing a paper filter on the surface of the ground coffee to better disperse the water as it drips, the Nispira makes no such recommendation. A surface filter (as distinct from the usual filter at the bottom of the brew chamber) helps prevent a divot forming from the impact of the droplets and subsequent channeling through the ground coffee bed. However, with the Nispira we didn’t find there to be a noticeable difference in the cup with or without use of such a filter. Cold brewing is ultimately a very forgiving method, after all. We found with the Nispira that as long as one starts with a coarse grind and experiments with a finer grind later, water will pass through the system at a reasonable rate and the procedure will yield a drinkable brew that will likely improve with practice. Our Final Recipe. We eventually settled on an easy-to-remember recipe of 40 grams of coffee and 500 grams of water mixed with ice. With a coarse grind, the carafe fills to just north of the 400ml line with clean, translucent cold brew coffee in a little over 90 minutes. This produces a drink that’s smooth but with some character; a body reminiscent of, but heartier than, tea, yet still far shy of an immersion-style concentrate. 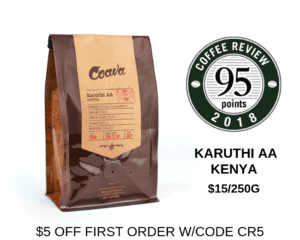 With a slightly finer grind and longer brew duration, the intensity of the coffee is ratcheted up, but we enjoyed the color and nuance of the lighter brew. The Nispira Ice Drip Coffee Maker is an attractive but fragile piece of equipment. The maker doesn’t offer much handholding through the learning curve, and you’re on your own when the included filters run out, but once a dependable set of parameters is established, the Nispira makes a fine Kyoto-style cold brew, and looks good doing it.